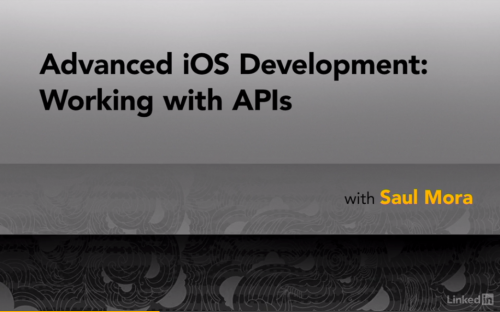 Lynda - Advanced iOS Development Working with APIs 2017 | Free eBooks Download - EBOOKEE! Posted on 2017-07-21, by everest555. Open up new sources of data and make your user's mobile experience amazing. Learn to download, parse, and integrate data from remote web APIs and leverage it in your iOS applications. Using this course, intermediate iOS developers can learn how to perform HTTP requests, parse incoming data with JSON or XML, and load the data (including images) in an iOS application interface. Along the way, instructor Saul Mora touches on related networking and asynchronous programming concepts, so you understand the theories and their practical uses. Plus, learn how to handle errors and validate server responses, to ensure your app won't crash during data retrieval. No comments for "Lynda - Advanced iOS Development Working with APIs 2017".